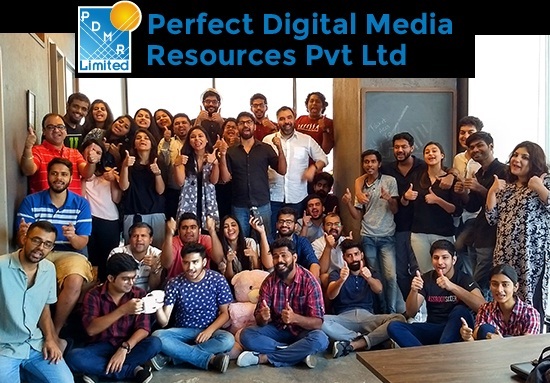 Perfect Digital Media Resources Walk-In Drive Opening 2019 Graphic Designer Posts Download Application at www.pdmrindia.com Perfect Digital Media Resources Career Job has Recently Announced 2019 regarding Graphic Designer & Various Job Openings Interested and Eligible Candidates can Download Application Through Official website. Perfect Digital Media Resources Walk-in Drive Graphic Designer @ Chennai. Since its foundation in 2003, PDMR India, a subsidiary company of Compuscript Limited, Ireland, has established itself as the preferred choice for digital publishing services by the world's top publishers. Our seamless integration of the latest technologies combined with our highly skilled team of experts, enable us to deliver high-quality content at a very competitive price. We provide smart solutions to fulfill our clients' content and management needs. We are partnered with top-ranking publishers, universities, non-profit societies etc, for whom we provide editorial support, project management, typesetting, digital publishing, and other content development services. Customized solutions are always cost-effective and so our services and solutions are often tailored to meet the specific needs of our clients. Illustrator Drawing knowledge (Redraw, Reload, Conversion, Color Correction, Print Preparation). E- Publishing Field experience preferred. Kilpauk, Chetpet, Chennai - 600010.